So you’re enrolled in Organic Chemistry. 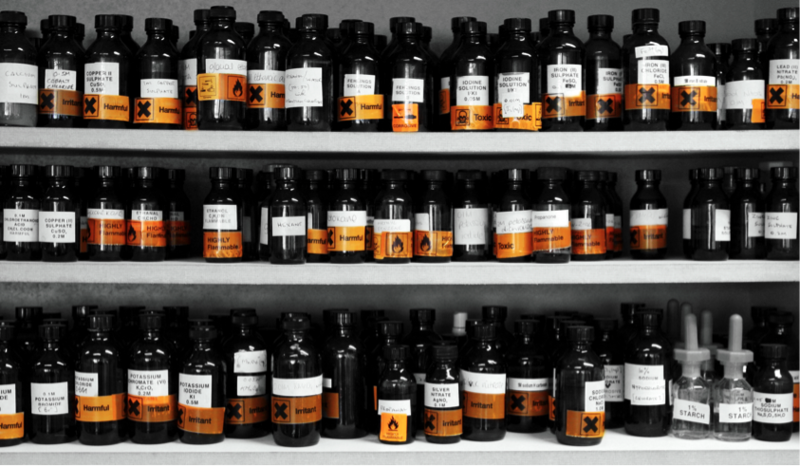 You’ve heard the horror stories and sat down on the first day in shock and awe as some older, mumbling professor talked about chemicals with long names and their properties. It’s going to be a long year. 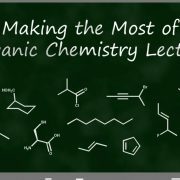 Organic Chemistry lecture can certainly be overwhelming—from the material itself to the sheer number of science and pre-medical students in one place. With that being said, making the most of this crucial class time gives you a leg up on both learning the material and beating the curve. Simply put, class time is both valuable and limited so the following tips are here to help you squeeze every last benefit out of it. First things first, pay attention! This probably goes without saying but we all know how incredibly easy it is to walk in sleepily, zone out, or tell yourself you’ll just shut your eyes for a few seconds and go back over what you missed later. To combat this, try to get yourself into a routine where you are ready to go by the time your class starts. If it’s early in the morning, make sure you’re mentally (and physically) awake by then. If it’s later in the day, grab a bite to eat, drink some coffee, or listen to pump up music to give yourself a little boost beforehand. You could even have your friend in the class pinch you every two minutes—anything that isn’t bad for you and helps you stay alert and attentive. In line with this, come to class prepared. This goes beyond bringing a pen and a notebook. Coming to class with a general understanding of what is going to be talked about helps in a variety of ways. For one, having seen the material once before means you have an idea of what you are having trouble with and what you understand well. Focusing on strengthening your knowledge in this way not only serves to help you learn, but it gives you a goal for a class that may provide more of an impetus to pay attention—see the paragraph before. Additionally, you’ll be able to confidently ask informed questions that can fill in the gaps in your understanding. Not to mention, this simultaneously shows your professor that you mean business. Can you say letters of rec, anyone? Flock of birds. Meet stone. Regardless of your preferred class preparation method, you’ll need to find a study routine that works for you that makes the best use of your class time. 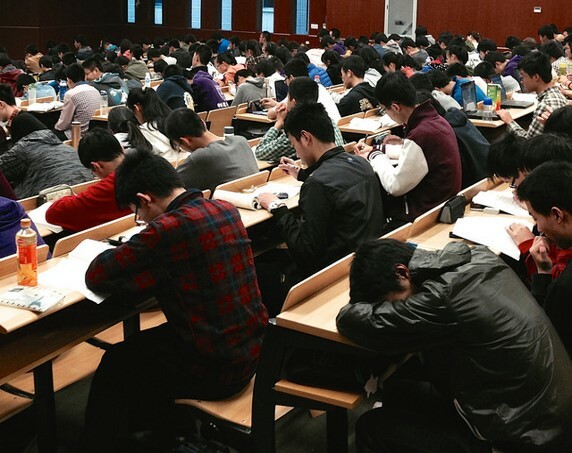 For me, it was try to read about the subject before class, reinforce that material in lecture, and do practice problems after those two pass-throughs, but keep in mind that you know how you learn best. Now for the nitty gritty: note taking. If you’re one of those people who don’t need to take notes, you can skip over this paragraph. Since I believe there are very few people who honestly function best this way, keep reading. 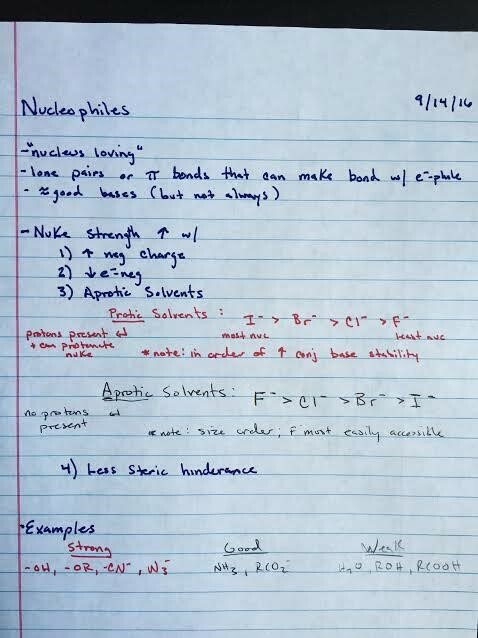 Hopefully, you’ve developed your own personal note-taking system over your years in school: format, abbreviations, organization techniques, etc. Hang on to those. Within your own framework, I have a few recommendations. 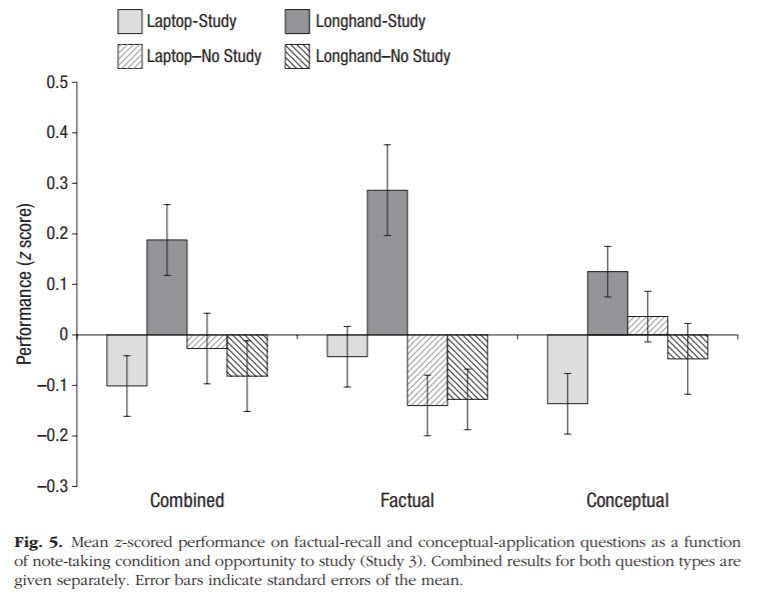 To start, learning science has shown that taking notes by hand may lead to better learning than taking notes on a laptop or tablet. This means ditch the tablet and pick up a pen, pencil, or quill and ink to boost those brain gains. Since you listened to my suggestion and already briefed yourself on the lecture material—see how all of these tips come together—you’ll have at least a vague sense of what the meat of the lecture will be. 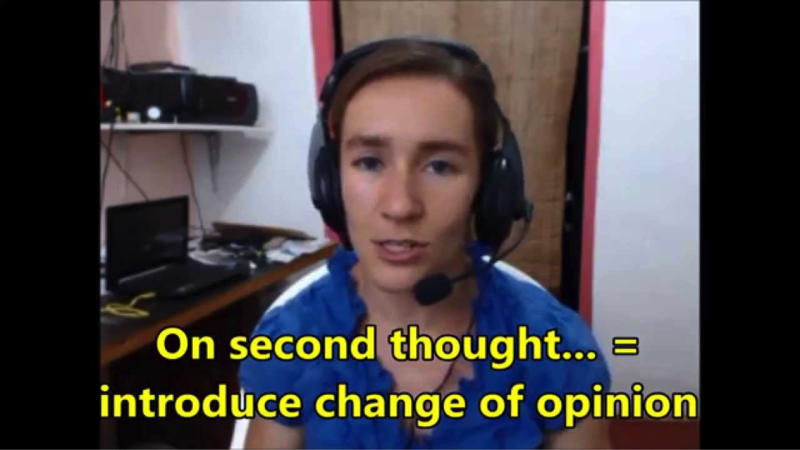 Critically thinking in this way helps better digest those more salient points. SN1 more likely when intermediate (+) charge more stable. Steps not simultaneous. For me, the latter would help me understand SN1 more but, again, find ways that work for you. This also forces you to understand the material rather than regurgitate it, giving you genuine questions to ask when you can’t do so. 5. For the love of Galileo, keep your notes organized! Knowing what topic, reaction, or example you’re talking about matters tremendously in order to keep everything straight, especially once you start doing tons of different reactions. If you want to go above and beyond, start each lecture on a new page (the trees will understand), date and number the pages, and use more than one colored pen for maximum organization. If your class offers any lecture capture or audio recordings, use them as needed; however, know they are NOT the same as going to class. Sure, they help when you are in a pinch but they aren’t as interactive and relying on them too much can send you spiraling into a cycle of skipping class, which is by far your most valuable resource for learning the material (to put a number on how valuable, see your tuition bill). Now you’re ready to tackle Orgo lecture. Go forth with confidence and happy studying. 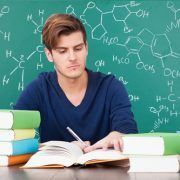 Let’s face it, we’re always looking for organic chemistry tricks and study aids to get a grasp on what is considered one of the hardest — if not the hardest — but ultimately rewarding courses in college. This post will aim to accomplish just that: we’re going to discuss different ways to help master learning concepts ranging from simple organic chemistry elimination reactions to isomerism. You’re not going to jump right into organic chemistry and intuitively understand isomers, enantiomers, Schiff bases, and so on and so forth. You need to be able to break things down into the fundamentals and understand simple organic chemistry before you can build upon it and grasp the advanced material. For example: learn the IUPAC naming system for molecules. That way, you can be able to name molecular structures, and then you can work backwards and draw the structures from the name. By working your way up from the basics, you will be able to go from molecular name to structure and back again. Use the OMS naming guide, and you’ll be able to build up your knowledge and work your way up. From there, you can also practice drawing resonance structures and arrowing pushing, which is an essential skill to have in the rest of the course. The best way to learn is through practicing, the tried and true method of trial and error. Get a hold of different practice problems and work through them. For example, once you’re able to draw structures from names, draw various isomers of that molecule. Now you can practice naming that isomer and seeing if you really get the hang of the IUPAC naming system. It is an exercise in futility to try and memorize your way through the course. Instead, just learn what you need to — build up your mental orgo toolbox. Then from there, use those tools to work through problems and learn the concepts. One of the most important lessons that orgo taught me was to manage my time efficiently. I learned the IUPAC system, then I memorized the different functional groups. That way, I was able to avoid mindlessly memorizing which names correspond to which structures, and instead break the names down into components to “build” the structures. Furthermore, because I memorized the functional groups, when it came to learning organic chemistry elimination reactions I could quickly understand and predict which functional group would dissociate from the molecule. Organic chemistry as a course is tough — there’s no doubt about it. But the individual components and concepts can be broken down, and if you stick with it and review the concepts regularly then you will succeed in the course. There will be highs and there will be lows, but just stay steady and confident, and before you know it you just might find yourself an organic chemist aficionado. 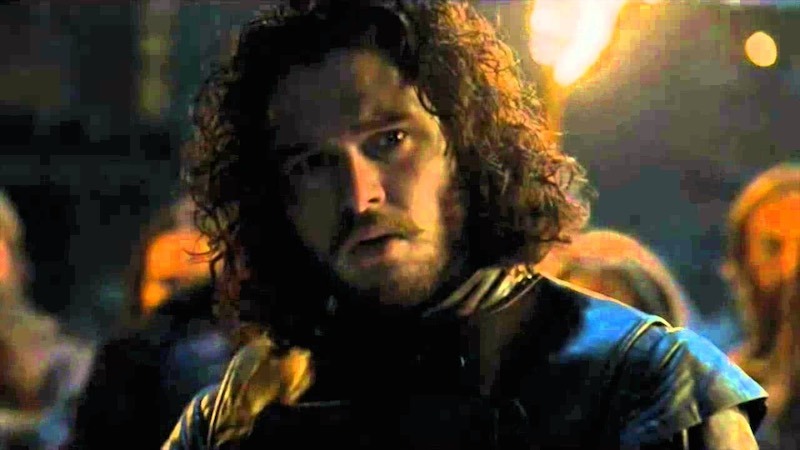 Winter is coming, but — unfortunately for us “Game of Thrones” nerds — we are in the dead of summer and will have to wait for winter again for another year. To deal with the “Game of Thrones” withdrawal, I found myself going through some of the greatest (read: saddest, or most intense) moments in the series’ history: Brienne of Tarth vs The Hound, the Battle of the Bastards and, of course, the Purple Wedding. 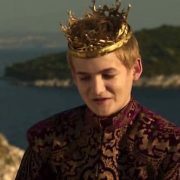 For those of you who have somehow forgotten about “the Strangler” and its role in one of the most monumental shifts in power in the HBO series — or, alternatively, if you don’t watch the show at all — here’s a quick recap: Joffrey and Margaery Tyrell are married and Joffrey uses that occasion to flex his power on anyone and everyone, instead of paying attention to his beautiful new bride. In his haste to assert the power of the crown and laugh at all those beneath him, he drinks a cup of wine that has been mysteriously poisoned. He quickly finds himself choking and unable to breathe, and before long, he suffocates to death. What was in that spiked goblet of wine that caused his death? What chemical agent was in that drink that made it earn its nickname “the Strangler”? Well, according to Dr. Raychelle Burks of the American Chemical Society, the active agent in “the Strangler” is likely strychnine, an alkaloid. An alkaloid is a naturally occurring organic chemical compound that contains mostly basic nitrogen atoms. They are often found (in salt form) in medicine. For example, morphine prides itself on being the original alkaloid and the first true drug. As anyone could tell you, morphine is extremely useful when in moderate to severe pain. Morphine in its proper dosage can be an effective method for managing pain; excessive use can cause a powerful addiction, and overdose can be fatal — as I have mentioned before, what determines if a substance is toxic or not is its dosage. Strychnine was once popularly used by athletes as a stimulant, where low dosages were reported to subjectively give feelings of increased stimulation. However, it was more widely known throughout history for its incredible, horrible poisonous potential. Back in 1904, Olympic marathoner Thomas Hicks collapsed while competing, and it was likely due to the two milligrams of strychnine in his system that he likely used as a performance enhancer (though, as Ian Musgrave of “The Conversation” notes, it is impossible to tell whether it was due to the strychnine or the copious amounts of booze that he had — athletes seemed to try all sorts of stuff to achieve better results). It works by blocking a glycine receptor that’s involved with normal motor nerve function in the spinal cord; that is, it interferes with the inhibitory neurotransmitter system. It thus heightens sensitivity to stimuli and results in increased, spastic muscle contraction. A high enough dosage makes strychnine one of the most fearsome poisons in history, causing such devastating muscle contractions that stimuli can make a person’s contractions literally tear their body apart. According to the International Business Times and Dr. Burks, George R.R. Martin’s books describe how “the Strangler” was extracted to be used for the assassination of the King: with a “wash of lime” and a “rinse of sugar.” Dr. Burks speculates that Martin doesn’t necessarily mean the fruit, but rather “lime” as in a limestone product: calcium oxide. She suspects that Martin meant to use calcium oxide as a reagent to extract strychnine from its plant, Strychnos nux-vomica. As for the “rinse of sugar”? Well strychnine, as are other alkaloids, is quite bitter — think of coffee! Thus to mask the characteristic bitter taste and to make sure that His Grace was none the wiser, Martin points out that a “rinse of sugar” was needed. Wait a minute, does this mean that Martin was a master of organic chemistry himself as well as a master of storytelling? It would appear that this is what had happened to King Joffrey in King’s Landing. His Grace seemed to have had a goblet of wine that was spiked with a lethal dosage of strychnine. The alkaloid caused the muscles in his throat to clench so very tight — tighter than a fist, according to Dr. Burks and the Reactions video — that air was simply unable to pass throw his airway. “Sometimes science gets a bad rap,” Dr. Burks said about science in the mainstream culture. “People think it’s dry or super serious. Pop culture is really a good medium to talk about science in a way that anyone and everyone can participate.” As we have shown here, science is a great way to connect what we see on the screen to nature and the real-life chemical world around us. It’s also a great excuse to rewatch a bunch of “Game of Thrones” clips. You’re at the gym, right? You’re really working your tail off, pushing yourself to the limit and really testing your body’s pain threshold — when all of a sudden, your muscles and joints are on fire. You realize that they are so swollen, and the inflammation is really holding you back from truly experiencing a good workout. Also known as corticosteroid, it is a 21-carbon glucocorticoid that is one of the main hormones released by the adrenal gland when someone is faced with stress (like acute pain in your muscles and joints). Cortisone works by suppressing the immune system — this helps when one suffers from autoimmune diseases, getting an organ transplant or (like our original example) when someone suffers from painful inflammation. However, people should be careful and cognizant of their reaction to cortisone administration. The “cortisone flare” is seen amongst 2% of patients, in which injected cortisone shots actually crystallize in the area where the cortisone is administered, thus exacerbating the pain. Also, excessive shots administered to an area may cause the degradation of cartilage and tendons. If you do get multiple shots, you will likely be advised to receive them three months apart from each other to prevent this degradation. Diabetics should also be especially wary due to the possibility of hyperglycemia from cortisone shots. 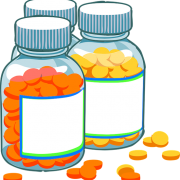 In medicine and the pharmaceutical industry, there is often the problem of finding the right dosage of drugs to properly and efficiently treat medical symptoms. When there is an inefficiency in dosage and effectiveness, it can lead people to self-diagnose and inappropriately increase their dosage, which may cause nasty side effects or even tragically leading to fatal overdose cases. Thus, it becomes a necessity and a life-saving forgone conclusion that the dosage of medicine we are being recommended to take is truly right for us, and that the amount of drugs in our system is appropriate to perform their job. But in some cases, it is not uncommon for our bodies to metabolize these drugs too quickly, and the premature breakdown of these drugs might be the enabling factor behind our inappropriate increase in dosage. The breakdown of certain drug compounds by their corresponding metabolic enzymes is achieved by those enzymes stripping the chemical compounds of their hydrogen atoms. So naturally, one can target the exact instance of when the enzyme extracts the hydrogen as the key moment that can help prevent premature breakdown of medical compounds. One way that many researchers and pharmaceutical companies are approaching this problem is through the switch of hydrogen in their compounds for deuterium, hydrogen’s heavier isotope. This isn’t necessarily a novel concept that is being introduced to the pharmaceutical company. The first major example of a deuterated drug candidate to truly make strides in a clinical setting was the antibiotic fludalanine. The deuterium in the chemical structure was substituted in for the purpose of blocking the formation of toxic metabolites. However, these same toxic metabolites later showed up in the blood of bronchitis patients, so that’s where that particular chapter ends. But from the end of that, another chapter begins. In 2014, Dr. Scott L. Harbeson and Dr. Roger D. Tung re-opened the deuterium approach to drug innovation. In their paper, “Deuterium Medicinal Chemistry: A New Approach to Drug Discovery and Development,” they explain the premise of the renewed interest in the deuterium-hydrogen swap in drugs. 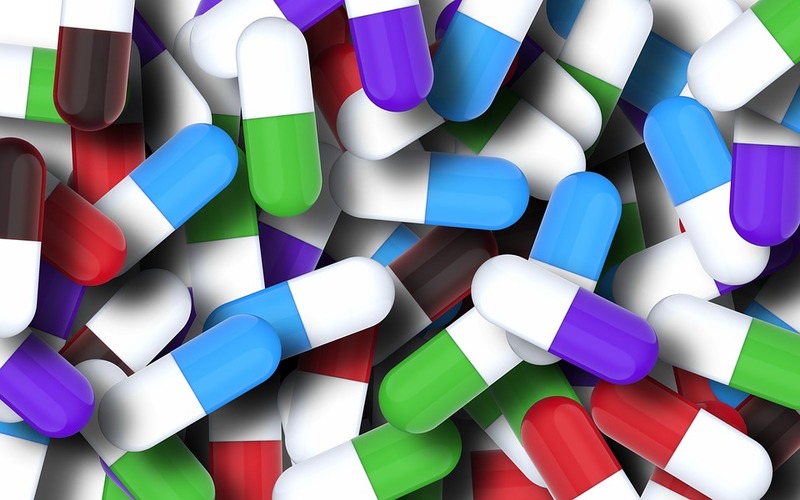 They sought to find out why there weren’t more deuterated agents for human use and application on the market, considering how “ a greater number of patent filings, the emergence of new companies focused on this area, and the recent entry of several compounds into clinical trials” highlighted a great potential for these new deuterated drugs to hit the market. Harbeson and Tung explain how the carbon-deuterium C-D bond is heavier and requires more energy to cleave than a C-H bond. Thus this higher activation energy, in theory, would help in offsetting the premature metabolism of drugs with regular C-H bonds. However, it appears that due to mechanism complexities and a “masking” phenomenon involving the ratio of the rates of metabolic reactions between a regular “protonated” compound and its “deuterated” counterpart, there is still an air of unpredictability and challenge. However, C&EN highlighted the potential of this isotope appeal and the increased safety and effectiveness of both pre-existing and new drugs. In your orgo class, you will likely hear about the importance of enantiomers and chirality, which is akin to the “left-” or “right-handedness” of a given compound. 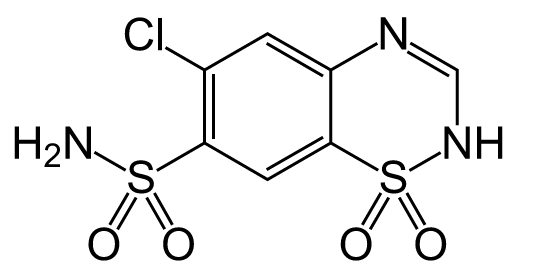 The classic example that many professors, my own included, like to use to underscore the importance of chirality, especially with compounds reacting in the human body, is thalidomide. 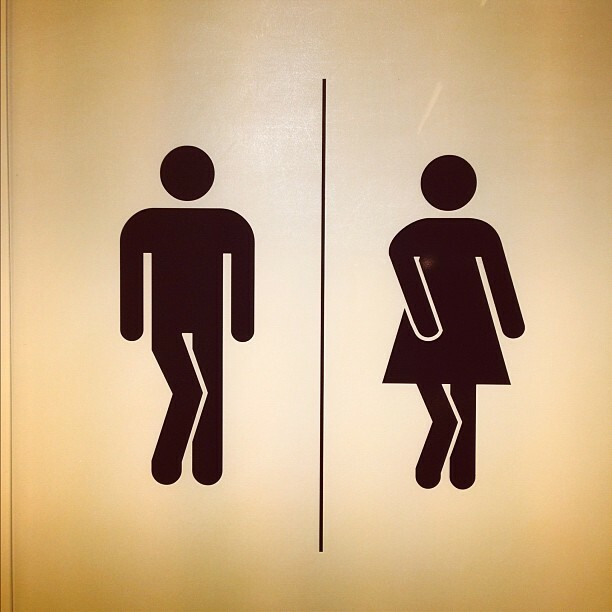 Thalidomide, or commercially known as Thalomid or Immunoprin, can exist as two enantiomers: one enantiomer causes the desired effects of alleviating morning sickness in pregnant women. The other enantiomer, unfortunately, can cause serious birth defects, including abnormal (or even missing) limbs, organs, etc. — absolutely horrific for the mother and child, and making it that much more important to pay attention to enantiomers. However, it’s also not as easy as simply choosing which enantiomer to administer to the patient and calling it a day: epimerization still happens, meaning that one enantiomer will interconvert to the other, and back again. This is where the potential importance of deuteration comes into play — by swapping deuterium in for hydrogen at the chiral center (where a molecule is distinguished between being left- or right-handed), in theory one can slow down that interconversion between enantiomers and selectively control which enantiomer they administer. 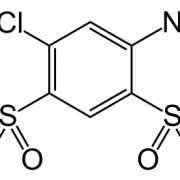 In fact, this is exactly the project (amongst others) that DeuteRx are working on: using a deuterated thalidomide analog to act as an anticancer agent. This may be all good and well, but you may be wondering how exactly is deuterium more relevant to your life in the immediate future? Where does it come from and how is it useful outside of the pharmaceutical industry? Deuterium is found in naturally occurring deuterated “heavy” water, or 0.0155% of the hydrogen nuclei in Earth’s ocean waters. It can be extracted from different methods, one common method being the Girdler sulfide process (I’ll let someone else explain that process more thoroughly). Any chemist will tell you exactly how valuable deuterium is to their research. Though it may be a bit early, you will certainly be tested in your orgo courses on NMR spectra and how they work (which one can master with our “NMR Center”!). In NMR, it is important to use deuterated solvents. Being based on magnetic resonance, modern NMR spectrometers use the concentration of deuterium in solvents to stabilize the magnetic field strength and take accurate readings. Furthermore, since there is a lot more solvent in an NMR sample than there is compound that one is trying to study (usually to distinguish how many unique proton environments there are), it makes sense why deuterium is so important to lower the signal-to-noise ratio and obtain a “clean” reading. The usefulness of deuterium has been so important and widely known by chemists for so long, and their application towards pharmaceuticals has renewed interest — and for good reason. Their incorporation into existing and new medicine could lead to increased effectiveness at lower dosages, thus improving so many people’s lives. 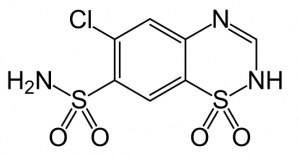 Chlorothiazide — also known as 6-chloro-1,1-dioxo-2H-1,2,4-benzothiadiazine-7-sulfonamide, or more commonly known as the commercial drug “Diuril” — is an organic compound that is used as a diuretic and an antihypertensive. The compound is a white, crystalline powder in physical appearance, and its functional groups and structure highlights its slight solubility in water and high solubility in sodium hydroxide. As was mentioned above, chlorothiazide is used as a diuretic and an antihypertensive. 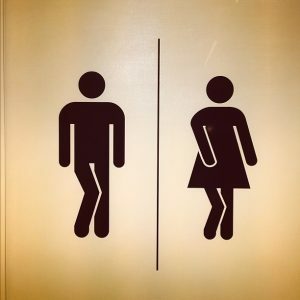 It essentially functions as a “water pill”: when administered, the body expels the extra salt and water in the system, lowering the person’s blood pressure through increased urination. How does chlorothiazide perform these functions? It prevents chloride reabsorption in a part of the kidney and urinary tract called the distal tube. Thiazides as a family of compounds cause a loss of potassium and an increase in uric acid in the serum. Furthermore, they inhibit sodium ion transport across renal tubular epithelia by binding to a thiazide-sensitive sodium-chloride transporter. What this amounts to, put simply, is an increase in potassium excretion. Chlorothiazides have been shown to act effectively as antihypertensives not necessarily because they promote urine output, but through promoting the activity of calcium-activated potassium channels in vascular smooth muscles while simultaneously inhibiting nearby proteins called carbonic anhydrases. Unless you’ve been living underneath a rock for the past decade or so, then you have been well-acquainted with the classic modern tale of AMC’s “Breaking Bad,” the story of Walter White — cancer-stricken husband, father and high school chemistry teacher — who is willing to go to any (and every) length imaginable to provide for his family if he should succumb to his cancer. Thanks to the University of Oklahoma organic chemistry professor Dr. Donna Nelson, the series has been hailed for its high level of scientific accuracy and attention to detail, something that has been deeply appreciated by the STEM community after the sciences could be so grossly simplified or exaggerated at times in pop culture. However, exactly how accurate is Vince Gilligan and the rest of the minds behind Breaking Bad when it comes to the actual chemistry that is the catalyst (pun intended) for the story progression? Moreover, what’s the chemistry behind all of the on-screen magic we see? Let’s take a look at a couple of examples. So anyone who has seen this show knows the main product that Walter uses his chemistry expertise to produce: (S)-N-methyl-1-phenyl-propane-2-amine, also known as N-methylamphetamine, popularly referred to as “crystal meth.” At first, Walt goes about the synthesis using pseudoephedrine, a plant-based phenyl ethylamine alkaloid that is usually found in cold medicine. The synthesis involved an extraction of (S)-pseudophedrine from that cold medicine, then a reduction (possibly using red phosphorous) to get the stereospecific (S)-N-methamphetamine. However, Walt and his partner-in-crime, Jesse Pinkman, realized that relying on buying cold medicine for their base reagents was not feasible nor sustainable. This is when Walt needs to use his chemistry knowledge for an alternate route of synthesis, the “Blue-Meth synthesis,” where he then uses phenyl acetic acid and acetic acid, under extremely high temperatures and reduced with thorium oxide, to get phenylacetone. 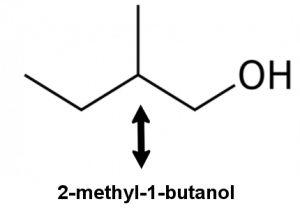 The phenylacetone is then introduced to methylamine to get N-methylimine, which Chemistry Views points out can be done in either a multistep or one-pot reaction. A reductive amination is then done on the N-methylimine, possibly using mercury aluminium amalgam to get N-methamphetamine. However, let’s look closely at the two products from the two routes of synthesis: (S)-N-methamphetamine versus N-methamphetamine. Obviously, the alternate “Blue-Meth synthesis” route yields a racemic mixture of products (S)/(R)-N-methyl methamphetamine. However, it is known that the human body reacts to different chemicals based on stereochemistry, i.e. if something is either (S) or (R). So how does Walt and Jesse solve this problem of stereospecificity? After all, there is no real indication from the show how the duo controls for stereochemistry in their product. One of my favorite scenes in the entire series, Walt goes into Tuco’s office and outsmarts him by sneaking in extremely volatile and unstable fulminate of mercury, which Tuco mistakenly believes is crystal meth. Walt throws a single crystal onto the floor of the office, and the resulting explosion is large enough to take out the floor of the building, and leaves the building in ruins, meanwhile everyone inside gathers their bearings while Walt is standing menacingly over everyone with an entire bag full of fulminate of mercury. In an extremely exothermic reaction, the formation of mercury vapors result from the impact, friction or heat from throwing the unstable fulminate of mercury onto the floor. However, Hare points out that Walt’s crystals are way too big and unstable to simply carry around like Walt did without setting them off. Even in the unlikely event that he was able to prevent detonating them too early, the first explosion Walt causes by throwing the crystal on the floor and the subsequent shock wave would have surely detonated the rest in Walt’s bag. Also, that little dramatic exchange Tuco and Walt had after the latter played the proverbial chemical card up his sleeve? Well, according to Hare, that exchange in reality would have had to have been delayed for awhile, as the shock wave and explosion would have led them to be unable to hear for quite awhile. Either way, it is interesting — and frankly, quite exciting — as a chemist to be able to spot the chemistry in “Breaking Bad,” and to be able to understand and explain some of the show’s most climactic scenes in the context of Walt and Jesse’s science. 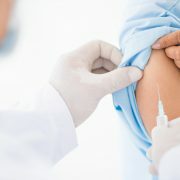 “How childhood immunization — once a given — crossed the divide from breakthrough science to public policy debate in the space of 50 years is a complicated picture,” Laura Parker of the National Geographic wrote about vaccines and the still-closely-contested controversy over their use (or lack thereof) in our society. Thus, it emphasizes the importance of having the understanding of the organic (and inorganic) chemistry that underlies vaccines and how they work in our bodies — and who better than a group of students taking organic chemistry and mastering the subject here at Orgo Made Simple? Everything is a chemical — When it comes down to it, the composition of everything above the subatomic level can be broken down to chemicals. What is present outside of our bodies is, oftentimes, present as well inside, naturally taken in or synthesized; that is, they are one and the same chemicals. 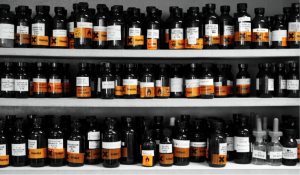 Natural and synthetic chemicals are equal — In a similar vein, TOSR emphasizes that there is nothing “inherently good” about natural chemicals, nor is there anything “inherently bad” about synthetic chemicals. The same chemical compound with the same chemical identity will have the same number of carbons and hydrogens, no matter how it’s produced. “Natural” chemicals are not always good — Riding on the coattails of the above point, it’s not about how a chemical is produced, it’s about how much of it is present in our bodies and how it reacts with our cells and proteins. The whole is greater than the sum — A molecule will behave differently than the sum of the characteristics its individual chemical building blocks. These are five facts that are indisputable and can be taken for face value. When applied to the argument for or against vaccines, it becomes abundantly clear how vaccines are made to benefit and help the human population prevent outbreaks and recurrences of once-devastating diseases such as polio and measles. Even a basic understanding of chemistry could help ease a lot of anxiety over the use of vaccines. Particularly highlighting TOSR’s fifth point, they use the example of NaCl — a simple ionic compound made up of a metal (sodium) and a gas (chlorine). By themselves, we would admittedly have a problem and it would be a wonder why, with pure sodium and pure chlorine, we aren’t all blowing up or dropping by the numbers. The reaction releases heat that could potentially ignite the hydrogen gas emitted, which will then burn and cause an explosion. (Maybe not quite this, but an explosion nonetheless). Meanwhile, the toxicity of chlorine gas is explained by it either diffusing into epithelial lining fluid of respiratory epithelium or hydrolyzing to HOCl and HCl, which in turn generate chloride anions and reactive oxygen species that further damage tissue and machinery in cells. However, the important thing to know is that this is not a worry with NaCl, which behaves totally different from its chemical ionic components. As you have known for years, ingesting table salt NaCl is absolutely fine (until you get into issues of excessive consumption and high blood pressure, but that’s another story for another day). A “little chemistry and even common sense and logic,” as noted by commenter “Star Bricker,” will take you a long way and help explain why vaccines have been, and will continue to be, just fine for people and beneficial for society. Though it is somewhat understandable how some people are so misinformed — as Parker of the National Geographic explains it, “the Internet [has become] an incubator for misinformation like the now-discredited theories linking vaccines to autism, and celebrity activism that turns small causes into bigger ones” — all it takes is a fundamental understanding of chemistry to alleviate any kind of worries concerning vaccines. Many of you will go on to matriculate to medical school, so this is especially relevant and further underscores the need to understand organic chemistry and how it is applicable to not only your lives but the lives of society around us. Raise your hand (but keep the other one ready to scroll down the page and continue reading) if you’ve ever needed to use coconut oil for your skin because regular moisturizers just weren’t cutting it for your daily beauty regimen. Have you ever wondered what is in that coconut oil — as well as palm oil, butter fat, nutmeg and spermacetin — that makes it work the way it does? 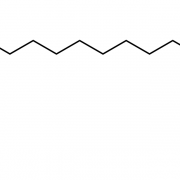 Meet myristic acid, also known as tetradecanoic acid. Myristic acid gets its name from nutmeg, Myristica fragrans. In fact, 75% of nutmeg butter is made up of a derivative of myristic acid, known as trimyristin, its triglyceride. The structure of myristic acid is relatively straightforward: a saturated 14-carbon chain with a terminal carboxyl group. It is usually found as a white powder that is insoluble in water, hence the fatty acid classification. As was mentioned above, myristic acid is used in soaps, as is the case with a lot of other fatty acids. Depending on the type of fatty acid, your soap will have different characteristics and benefits. With myristic acid, your bar of soap will have a characteristic hardness, good cleansing properties and a nice fluffy lather. However, before you start ingesting this fatty acid by the tons for beauty purposes, you should be aware of new research that suggests health issues and complications. In a study presented at Digestive Disease Week 2016, it was found that patients with ulcerative colitis could be more likely to experience a flare if they eat a diet high in coconut oil. Abnormally high levels of myristic acid can also interrupt the proper functioning of Small Valosin-Containing Protein Interacting Protein (SVIP) — which regulates levels of “bad cholesterol” in the bloodstream. I remember my sophomore year at the University of Notre Dame, I needed to fulfill my language requirement for my Biochemistry major. I had taken Spanish in high school, and college is a time to try something different, right? So, I went with Italian — similar roots to Spanish, yet obviously an entirely different language. But then I’d catch myself, knowing internally that I was close but had made a mistake, and restart. I had those tools necessary to learn Italian — the pronouns, the vocabulary, the conjugations. I just needed to learn how and when (and when not) to apply them. It wasn’t about memorizing individual phrases, like anyone who has taken a foreign language class before can tell you; it’s about memorizing the words and rules and, yes, the exceptions to the rules to be able to form your own sentences, instead of memorizing sentences straight from the textbook. Otherwise, you’re left with just a handful of stock phrases that won’t get you anywhere. Thus, I learned one of the most valuable rules of mastering organic chemistry: don’t memorize anything … right? On second thought, contrary to what you might hear, you will actually have to memorize a thing or two to succeed in organic chemistry. If you ask any “expert,” they’ll advise you, “don’t memorize; learn the concepts.” And to an extent, that is true — just like how simply learning phrases in a language doesn’t make you fluent, simply learning which set of reagents will add which functional groups doesn’t make you a master of organic chemistry. If there are a number of phrases you can use to express a certain sentiment, then there are a number of reagents you can use to get from a given molecule to your desired product. That’s where “learning the concepts” come into play. You have to understand the rules of when each reagent is applicable. Just like knowing when to use the formal versus informal greetings in a different language, you have to be able to understand — given certain scenarios surrounding your molecule and reaction conditions — when you can even consider certain reagents. Furthermore, it’s not always about what you absolutely can or cannot use; sometimes, it’s about what is feasible or what is appropriate when in “realistic” conditions. Once again drawing upon the foreign language parallel, you wouldn’t use more words than is necessary to convey a simple message. Or in another example, you wouldn’t use a flamethrower to light a candle — overkill (and frankly, just dangerous). So, sometimes you would notice how a given set of reagents and reaction conditions will technically get you to the same place as another set of safer reagents with more reasonable reaction conditions. Thus, you need to “learn the concepts” so you can exercise proper judgment as to which reagents to use, and when to use them. 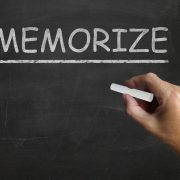 But at the same time, this is where the memorization comes from: you actually do have to memorize some things, otherwise you have no foundation to lay your building blocks of organic chemistry knowledge on. Let’s go back to grimmra2’s orgo-as-a-foreign-language example: sure you don’t learn a language by simply memorizing a set of phrases verbatim. Instead, you learn these phrases so that you can reverse engineer them and find out how they tick; then, you can learn why you use that certain phrase in that given situation, and why you wouldn’t use it any other time. However, at the end of the day, you do need to know those vocabulary words, those fundamental building blocks to even understand those concepts. What are some of these building blocks that you do have to memorize? Well, it’s whatever you define them as! There were some pretty obvious ones that my classmates and I needed to memorize: the IPUAC naming system (which you can master as well easily with our Full Year Naming Guide! ), what’s an acid and what’s a base, what it means to be oxidized or reduced and how to distinguish between different diastereomers. Then there were some things that I found myself needing to memorize in order to quickly be able to understand concepts and reverse engineer problems to understand their basic concepts — things that maybe some other students didn’t need to memorize and understood intuitively, but I still needed to make flashcards for before moving on to more complex concepts (things also worked vice versa, obviously: there were things that I didn’t need to think twice about that other friends spent a lot of time on). Thus, I leave you with a quick summary of what it means to “don’t memorize,” and how to use it effectively in order to succeed in organic chemistry. Figure out the “why” behind more complex concepts. You already have the basics down, so now it’s time to use them and apply them to figure out and “reverse engineer” the more complex problems that build upon your memorized basics. Try and solve for yourself what makes these things tick. Why does the example use this set of reagents in this situation? Another set of reagents would get you to the same end point — would you be better or worse off if you used the alternate set?